Despite the rise of the smartphone clock and digital time-tellers sitting everywhere you look, watches aren’t dead. 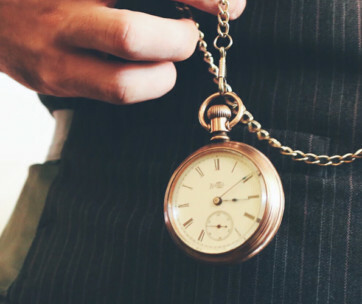 Most astute men prefer telling time via a wrist watch or pocket watch, though many of us are just in it for the style. Whatever your reason, there’s a lot that you need to know before delving into the clockmaker’s territory. Everything you need to know will be jam-packed below. We’ve covered every type of watch from the dawn of time to kingdom come, and consider ourselves to be knowledgeable aficionados. Buckle down, and let’s get to it. To be totally blunt, your price is going to dictate what you get. We truly believe that you get what you pay for, and when it comes to high-quality watches, it makes all the more difference. Like everything, there are a few quality items that hit sales or fall through the cracks of their expected price ranges, but setting a watch budget is key. You don’t have to empty the wall safe to get a quality watch. Setting a budget just gives you reasonable expectations. You ever see an episode of House Hunters on HGTV before? This guide is to help you avoid being the 37-year-old man with a $12.00 budget, and requirements of a hot tub, fifteen-foot retaining wall, and a miniature zoo for (soon to be purchased) his pet lion. Let’s get you grounded, and we’ll carve our way into everything you need to know. When you’re setting a budget, mind the anticipated use. Watches serve a crazy array of needs beyond telling time, including everything we listed in the bullet points above, and more. Even if you’re going for a nice minimalist watch, knowing all of this information will still help you. We’re working from the outside, heading straight down to every last cog and gear. The underdog of every watch you’ve ever owned is the strap. There’s a few different ones you’re going to see in different styles of watches. These can range from outdoor use to just having some posh flair. Let’s go through them. Leather – These are excellent for adjustments, and to date, we’ve never had the closure on a leather strap fail us before. Leather has a lot of faux counterparts out there on the market, so you’ll have to inspect and ensure it’s all genuine leather. Nobody wants that cracked, fading look that starts to chip off after time. Leather wins on comfort and fit, so investing in a new band once a year isn’t exactly a major expense. Nylon or Poly – These are ever-durable, but have a bit of a kiddish feel to them. If you’ll be using your watch for sports activities, these prevent chafing, and don’t catch on your arm/wrist hair. With a leather band or a steel bracelet, sweat and water will degrade them over time. Nylon and poly are both excellent if you just want to grab a strap once, and not have to worry about buying a replacement for ten years. Rubber – You’ll see these almost exclusively on dive watches. They help stick to the wetsuit, provide excellent traction while underwater, and don’t degrade nearly as easily as other materials when repeatedly submerged. The high-quality rubber used in these usually last for about seven to ten years, and they’re among the most inexpensive to replace. Steel Bracelet – The top choice of the posh scene. Steel bracelets (or whatever material the watch case is made out of) give you a uniform look, as if the case were extending all the way around your wrist. These tend to cost more than other band materials, though with proper care, they’ll hold up against the test of time. If you’re grabbing one of these, they’re difficult and aggravating to take links out of, so try and close-in on your exact size. While often thought of as a minor detail, this is how you’ll take it off before every shower, put it on before every black-tie affair, and is one of your most physical interactions with your entire watch. There’s a few different styles, and these mostly come in whatever the case material is for your watch. Deployment Clasp – You’ll see these on steel bracelets. These are designed to stay nice and firmly on your wrist at all times, and operate much like a jewelry clasp, with a few extra components. Deployment clasps help keep a uniform look to your watch, though they require a bit of maintenance (just oiling), and add more weight than standard buckles. Deployment Buckle – Basically the same as deployment clasps, with a different mounting system, You’ll see these attached to leather or nylon straps, and in some cases, they’ll also be on rubber. There’s a definite clash in texture on your wrist, and most manufacturers will either go all bracelet, or fit their leather straps with the next closure type on our list. Tang Buckle – Possibly the most common buckle you’ve ever seen on watches, the simplistic tang buckle is lightweight, simple to use, and generally lasts as long as the watch. With a few holes in the other half of your band, you’re able to slip the buckle through, secure it in place, and go on living your day. Classic style, classic function, and widely popular with all pilot watches. Butterfly Clasp – Sometimes referred to as push button clasps, these give a completely seamless look to your watch. The entire appeal is making your watch look as sleek as possible, while hiding the function of the clasp unless you need to activate it. A fairly straightforward concept: whether you’re getting a fansy gold watch or sticking with reliable stainless steel, the case material is critical. It’s maintaining your lens, keeping every miniscule gear and movement section perfectly stable. Depending on what watch type you’re going with, there’s a few case materials you’re going to run into. A rough 99% of all watches you run into will have one of those materials making up the case. Each serve their own purpose, for instance you’ll see plastic and resin on durable hiking watches, steel and ion-plated metal on standard, stylish watches, and gold, silver and titanium on high-end timepieces (especially pocket watches). When it comes to case sizes, there’s a whole different way to go about it. Whether metric or imperial, it’s measured in millimeters. These can extend anywhere from 22mm all the way up past 60mm, and if you’re not totally sure what that means, pore over this little list to get an idea. 22mm are generally called mini watches, covering ½ to ¾ of your wrist, leaving a bit of extra visible skin along the top and bottom. 22mm watches are usually marketed as women’s watches for a thinner, more form-fitting aesthetic. 28mm are usually enough to cover your entire wrist, though they often need to be accompanied by slim-fit bands to make them look right. You’ll be spending less on replacement straps since there’s less material, but you also won’t see many bracelet-style straps in this size range. 32mm is where we start getting into slim, yet masculine watches with a varying set of materials. You’ll find a decent amount of stainless steel watches, getting into bracelets and housing more room for excellent functions. 36mm is a fairly standard-sized watch (from here to 40mm), most commonly seen in specific brands like Daniel Wellington and Victorinox. This is along the sweet spot of sizes, giving you a good amount of coverage, and a decent enough size to bring attention, without looking dainty or bulky. 46mm puts you at a perfect size for watches with altimeter, barometer and chronograph functions. The larger the case, the more they can fit into it. 50mm+ are large watches, and may look fairly bulky on your list. Casio G-Shock watches generally tend to rest on this size, and serve a multitude of functions. You’ll see digital watches being more popular in this range, and find enough space for some manufacturers to include solar charger panels for your power reserve. When you’re trying to select the right size, take a look at the times you’ll most often be wearing it. If you’re hitting the strip for a night on the town in your Armani X suit, 50mm watches are going to look far too bulky. For daily use, around the 36-40mm mark gives you a great size without drawing a lot of attention. Think of your style, your body type, and how many functions you’ll be needing besides telling time. Watch glass, windows, whatever you want to call them: the lenses looking into your watch face is far more important than you think. When it comes to certain watch types and required uses, this is one of the most important factors. The lens is also a large factor in cost, when you get into dive watches and specific brands that uphold a certain level of quality in all of their lineups. Acrylic – Inexpensive to manufacture or outsource, and brings a whole lot of durability without having to spend more than you’re comfortable with. These usually aren’t anti-reflective or anti-scratch, but can take one hell of a beating without breaking. Mineral – The perfect medium between strength and price. Mineral dial windows are perfect for just about everything, including hiking, roughing it in the elements, and so on. However, it’s not going to hold up like the toughest lens on the market when it comes to once very specific function. Sapphire Crystal – Diving. Dive watches (that are serious, meaning over 660 ft of water resistance), use sapphire crystal to withstand rising pressure levels as you delve down to the depths of the murky blue. They’re by far the most durable, solid dial windows you could ever ask for, and often with with anti-scratch and anti-reflective properties, which we’ll talk about now. Then, there’s anti-scratch coatings and properties, which do exactly as the title suggests. You bump, scrape and collide with the world in your day-to-day life; it’s called living. Your watch should be up to the occasion, but this is where it gets a bit hazy, where marketing materials use wordplay to try and trip you up. If you get a watch with an anti-scratch coating, it’s applied after the dial window is created, which isn’t as good. If it boasts scratch-resistance and doesn’t specify a coating, it’s built into the actual lens itself. There’s also the matter of anti-reflective coatings and elements, which go similarly to scratch resistance. Coatings can come off and are applied post production, though these tend to be a bit more durable. You can always get them recoated in the future to prevent unwanted glare, which can come from sunlight, fluorescent lighting, and even blue LEDs. You never know how badly you need a good waterproof watch until disaster strikes. Let’s talk about how the crown, waterproofing, and the general durability of your watch all tie in together. Anything in life is only as strong as its weakest link, so let’s check every chink in the armor right now. When it comes to crowns, there’s not a whole lot to know. This is the most vulnerable part of your watch when it comes to waterproofing, and since it has slight direct access to the hands, it’s a conduit to the interior of your watch. Ensuring that they aren’t bent, and that they’re completely flush with the housing/not loose is the first thing you should do right out of the box. These will all be properly mirrored on left-handed watches, so you won’t run into irritation issues. Your overall durability includes those aspects of the crown that we talked about, because it’ll tell you how the rest of the watch was made. If you’ve ever seen those one-penny watches with a few bucks in shipping, they’re the most unsturdy, shakily-made watches on Earth. Immediately check the crown out of the package, but also look for the stamps on the case back to identify the materials. Give the watch a thorough inspection, and if anything on the case is loose, it’s not going to hold up. It won’t pass the test of time, our our next subject: waterproofing. Now, there’s more than one way to identify waterproof features, but with watches, there’s a simple bracket system for how many meters/feet underwater you’re able to travel, before you’re start running into issues. But what do these really mean? Well for one, the higher the water resistance, the more wear-and-tear it can handle on a daily basis. Up to 165 feet, you’re usually okay to handle day-to-day spills and mishaps. From there up to 330 feet, you could wear it in the shower, and it won’t give out on you if you leave it on when you hop in the pool. 660 feet is when you start getting to the big leagues (pun intended). You’re going to see a lot of watches that boast 330 feet of water resistance, but specifically state something in their sales page like, “Not fitted for diving.” This is more to cover their behind than anything else, which is why it’s usually only after 330 feet that you’ll see watches being specifically marketed for diving. The flip side of the coin, is that most of these watches will withstand up to three times their maximum diving depth. When you surpass the recommended depths, your watch might still work, but water pressure will begin to damage it. If you go down far enough, it could kill the mechanical components altogether. Markings define more than you think. Let’s assume that with a million digital clocks constantly around us, you’re not solely getting a watch to tell time. This is where you can get a few extra points on style with unique markings, or go minimalist with as few as possible, giving a clean, well put-together look. In the end, these aren’t really going to affect the price, but they’re a major style point. When you get into subdials, they’re mostly type-specific, meaning you won’t see many of them on skeleton watches or minimalist approaches. 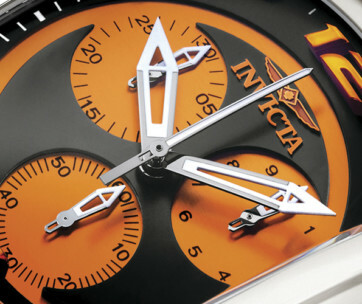 Subdials usually apply to more tactical watches, and may serve as a GMT-tracking function to a pilot watch. You’re going to see a lot of little add-ons in hiking watches, including altimeter functions, chronograph features, and subdials that either act as a compass or provide other functions. Watches can get complicated when they’re fitted to be used in potential survival situations. Weigh these features and what they mean to you. They will impact the price and the sleek look. You’ll see nearly all of these add-on features jam-packed into reliable military watches. You’re only going to have three primary options. As with most manufacturers, there’s a standard in today’s world, with very little room for variation. That’s not a negative thing by any means, it keeps everything uniform. Just about every watch repair kiosk or shop on the planet will be able to handle all three movement types. Manual – As self-explanatory as it sounds, you’re literally winding these up and watching them go. These are a little different from automatics, because you’re actually going to hand-wind this, and use your judgment. Once you feel tension on the interior springs, stop what you’re doing. Let it go, synchronize your time, and keep on moving. 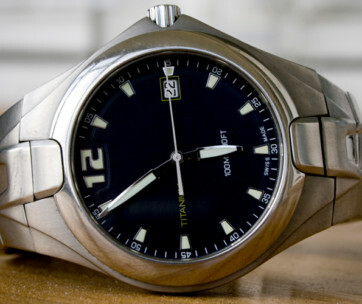 Quartz – Quartz is among the favored movement type by companies like Victorinox, and is revered to be the most accurate and efficient movement type used in modern manufacturing. You’ll need a watch battery, which on average takes years to run out. Quartz gives you peace of mind; no winders, no hand-wound movements. Automatic – Automatics need to be wound just like manuals, but they wind themselves while you walk. We naturally swing our arms about and move them thousands of times a day, which is what keeps that momentum of your watch going. If you don’t use it for a while, you’ll have to wind it up like a manual to get it moving again. Remember that an automatic watch needs some TLC when not in use. For the most part, unless you tinker with clockwork in your spare time, you’ll be sending this into a shop or service location. Most brands will have service information, and whether that falls under warranty or not is dependent on your purchase, the vendor you grabbed it from, and exactly what’s wrong with it. If you’re going for a serious watch, one with a higher caliber of quality, it’s recommended to find a trusted distributor of authentics parts, and grab some spares for the most critical pieces. Let’s say you have this watch in ten years, and for whatever reason the brand you went with is out of business. That means nobody is making the parts, and you need a third-party repair service. Identifying issues with your watch is fairly simple: if it stops working, well, you know the rest. This is when it comes in handy to have a skeleton watch, allowing you to diagnose damages much more easily. We’ll touch on the major maintenance points when it comes to keeping your watch on-point. You’ll only need ten or fifteen minutes each month to dedicate to upkeeping your watch. Wipe the case back every night when you take the watch off before bed. Dirt, sweat and all that associated bacteria will create a light odor, and buildup on the case back could impair waterproofing features as well. If it needs to be kept wound, either get a watch winder, or if it’s the only watch you own, just stay on top of it. If it stops ticking, there’s no issue with winding it up again, but when clockwork sits there for months or years without moving, you run into issues. They don’t say “It runs like clockwork” for no reason. If you’re going for a dive watch or really hinging on waterproof capabilities, consider getting your watch tested every one to three years. The manufacturer will have information about this on their site, and use the same machines/lab testing when they created it to restore your watch to its former glory. Stay on top of your strap. Occasionally grease the bracelet, quality control check the leather, and give it all a good scrubbing. Warranties on watches can get tricky. Just about all of the major brands that we focus on here at Gear Hungry are fairly straightforward with their warranties. Some will cover movements, but not the crown. Others will cover the lens scratch resistant properties for five years, but might only have one year on the movement. Keep your eyes peeled. It’s easy to assume, “I’m not going to need that,” but your day-to-day is unlike anyone else’s. Accidents happen, wear-and-tear commences, and it’s always good to have that ace in the hole. Garmin focuses on excellent outdoor watches for hiking, camping, and anything else you can think of. 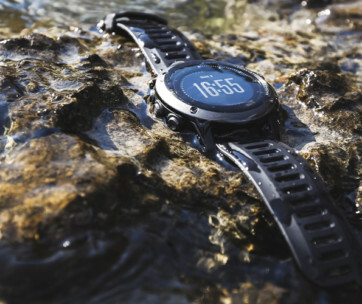 As one of the major tactical watch brands, they’re absolutely huge on structural integrity and high-durability components that keep your movements protected, and the elements at bay. If you had to step out into the wilderness tomorrow, a Garmin watch would have half of what you need to survive, and find your way back home. These high-quality posh watches are an iconic staple for any well-dressed gentleman and his walk-in features. With an excellent grade of dress watches, sustainable materials and killer warranties, they’re a brand that doesn’t mess around. As one of the pillars in the watch community, their reputation is everything, and it’s been sterling for nearly one-hundred and seventy years. Focusing on intricate and cutting-edge watch face designs, these guys almost exclusively stick to stainless steel bracelet watches, and translate to Invincible in latin. They go bold with a bit of color on their bracelet links, and aren’t afraid to go against the grain with unique watch faces and a mix of subdials. Unique, high-quality, and generally with excellent waterproof ratings. Pitch black and built tough, Diesel watches stick to a safer style on the band and case, but rev it up for the watch face and subdials. Diesel outputs a blend of minimalist watches, as well as a volley of others with more in-depth features. Budget-friendly, sleek and designed to last. They let their work do the talking. As one of the world’s most-recognized watch brands in existence, Rado watches have that notoriously wide, oval-shaped bezel on most of their models. They’ll also play around with lower mm cases, shapes, and do what they do best: blaze the trail for the rest of the competition to follow. Casio has always been synonymous with low cost and high value, which is why they’ve anted-up on their G-Shock series. You get fairly large case diameters, sturdy, low-cost associated materials, and some of the best customer service on the planet. They’re widely regarded as making some of the best field watches of any major brand, and to that, we would have to agree. Now this is a proper good job at shaking things up a bit. Daniel Wellington watches bring a very sophisticated style to the playing field, resting in the median price range, but adding a whole lot of posh volume to your wrist. If you’re a little out there with your style and you want your watch to match it, they’ve got you covered. Alternatively, they’re double agents and have some of the best minimalist watches we’ve ever seen. Unique, dapper, and brimming with a very unique watch face style, Tag Heuer watches are an iconic timepiece lineup. 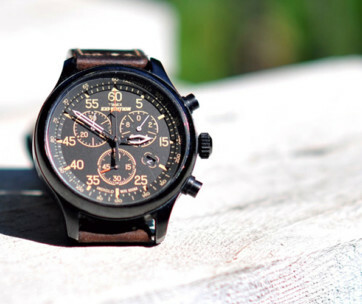 Tag has multiple watches all over the price spectrum, from luxury watches down to budget-friendly timepieces, their unmistakable classic appeal and sturdy quality speak for themselves. 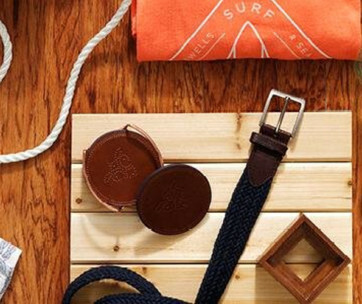 If you’ve never owned a tag, you’d best carve out a spot in your walk-in and grab a new watch winder, because it’s about to become king of the closet when it’s not on your wrist. They stick to very specific ideals and customs, which have anointed them as one high-quality brand with the most timeless aesthetics and functions. Signature looks, unmistakable quality, and a bit of a bold edge compared to most other brands. They’re not afraid to test the boundaries of what’s considered normal, but the question is, are you willing to be their partner in crime? The makers of the original swiss army knife, the legends who throw Swiss engineering into everything they do: they’re the one and only Victorinox, the highest caliber of watch that you’ll ever own. Swiss quartz, stainless steel, mineral lenses and more, these guys spare zero expense when it comes to making you look fly on a dime, and not skipping a single spec of quality. You’ll be able to find these from all over the budget range. From the outside in, through every gear and what to look for, we’ve covered everything. There’s already dozens of watch buying guides available for you to take a gander at, each diving more in-depth on each individual watch type and brand, and pulling every last seemingly-microscopic detail out into the light. You’ve got a good primer, but now, it’s time to take one step further.